Chicago-based saxophonist Ryan Muncy graces New York City for an evening of Luciano Berio, Aaron Cassidy, Dai Fujikura, Erin Rogers, Lee Hyla, et al. The evening will feature guest appearances by Alejandro Acierto (bass clarinet) and Erin Rogers (saxophone), performing her own work, Shallow, for 2 saxophones and The Milliner’s Fancy by Jeffrey Mumford. 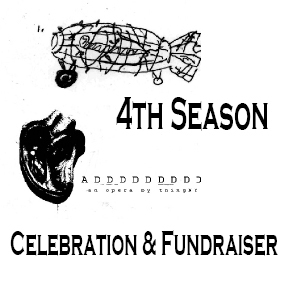 Join thingNY for a 4th Season Celebration & Fundraiser! Join us for drinks, laughs, a video spectacular, Jeff rocking out on violin (maybe),next season’s sneak preview, highlights from our upcoming album release/East Coast tour and some great prizes! It’s a party, so stop by whenever you can. Back by popular demand, thingNY will boldly state that it has created the largest commission of experimental music in the history of email-submitted spam. 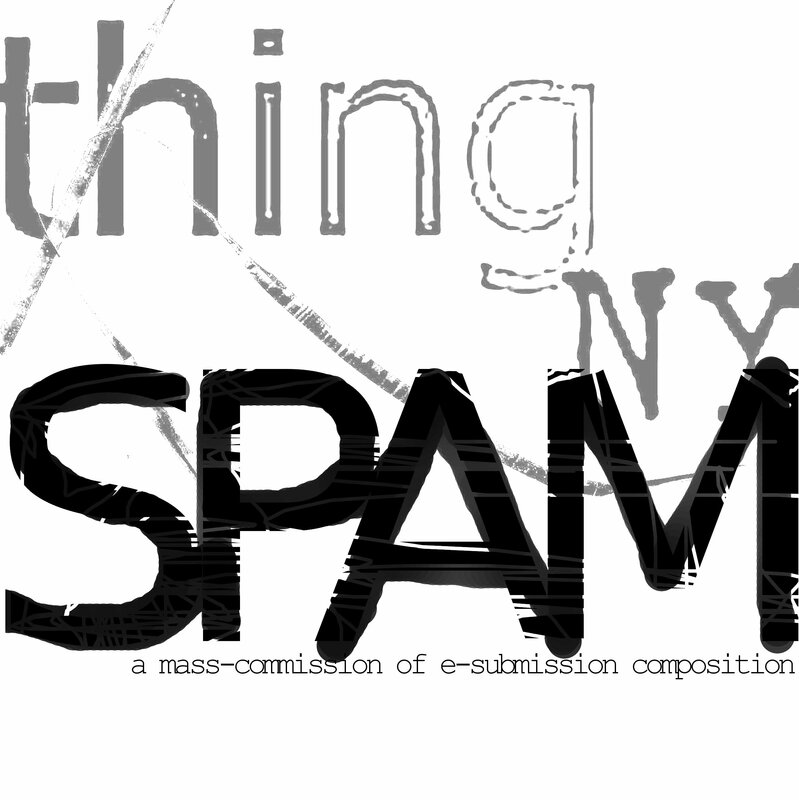 Hundreds of new works, words and images from all over the globe, including composers, performers, artists, peers, the Bloomberg administration, subordinates, ordinates, our moms, automated responses, vacation replies and perhaps one or two threats. Featuring contributions from Jude Traxler, Heber Schuenemann, David Finlay, Eli Stine, Juliana Steele, Kyle Gann, Marina Rosenfeld, Scott Wollschleger, Sally J. Williams, Kathleen Supové , Moritz Eggert, Daniel Goode, Luciano Azzigotti, Greg Kirkelie, Erin Carr, Joe Kneer, Joseph Nechvatal, Mary Jennings, Brian McCorkle, Paula Diehl, Johnny Kira, Pall Ivan Palsson, Michael Cooper, Emily Koh, Terence Zahner, Joshua Kopecek, William Brittelle, Christian Gentry, Gabrielle Gamberini, Aaron Feinstein, Douglas DaSilva, Greg Pfieffer, Brad Baumgardner, Dave Golbert, Paul Burnell, Jim Legge, David Morneau, Andrea La Rose, Holly Eve Gerard, Gary A. Edwards, Matthew Reid, Gail Noor, Jonah Bloch-Johnson, Tania Leon, Alexandra Fol, Lucy Koteen, Luca Vanneschi, Sarah Prusoff, Ilias Pantoleon, Luis Menacho, David Simons, David Snow, David Drexler, Mike von der Nahmer, Martha Mooke, Art Jarvinen, David Wolfson, Neil Lyndon, Piotr Grella-Mozejko, David Broome, Matt Malsky, Linda Joe, The Bloomberg Office, David Drexler, Nate Trier, Greg A Steinke, Mats Eden, Mort Stine, Yianni Naslas, Jane Stuppin, Jessica Quinones, David Snow, Mark Stephen Brooks, Christopher Fulkerson, Ryan Muncy, Barry Seroff, Emanuel Ayvas, Stephanie Miller, John Oliver, Beth Tambor, Pauline Oliveros, Michael Gordon, Adam Reifsteck, Janet Maguire, Jiri Kaderabek, Marilyn Shrude, Joe Hallman, Mimi Kim, Doug Yule, Paul Pinto, Tom Lopez, Andrew Griffin, Gene Pritsker, Winnie Sunshine, Sima Shamsi, Wally Gunn, Carl Danielsen and Mike Hanf. The New Yorker’s Alex Ross listed thingNY as part of the city’s burgeoning avant-garde classical music scene “striking an attitude of resistance to mainstream culture.” Comprised of composer-performers from the NYC metro area, thingNY revels in creating and performing unrelenting experimental new works with passion and enthusiasm, oscillating between the “sweeter sounds” and the “punishingly loud.” Since its first performance in October 2006, thingNY has produced four seasons of experimental music including a radio play by Beckett, a collaboratively-created opera and over a hundred premieres. IKTUS Percussion Quartet joins thingNY for a night of some old favorites and freshly penned works by exciting young composers. thingNY is looking for comic artists, illustrators, designers and other imagicians to illustrate the comic book libretto (liner notes) to our upcoming album, ADDDDDDDDD. Selected Artists will be contacted by Mar. 22 and final drafts will be due Apr. 1. We regret that we cannot pay volunteer artists for the work, however, selected artists will receive a copy of the finished product, credit and two tickets to the thingNY show of their choice.